What is your name and role within Instytut Festival? 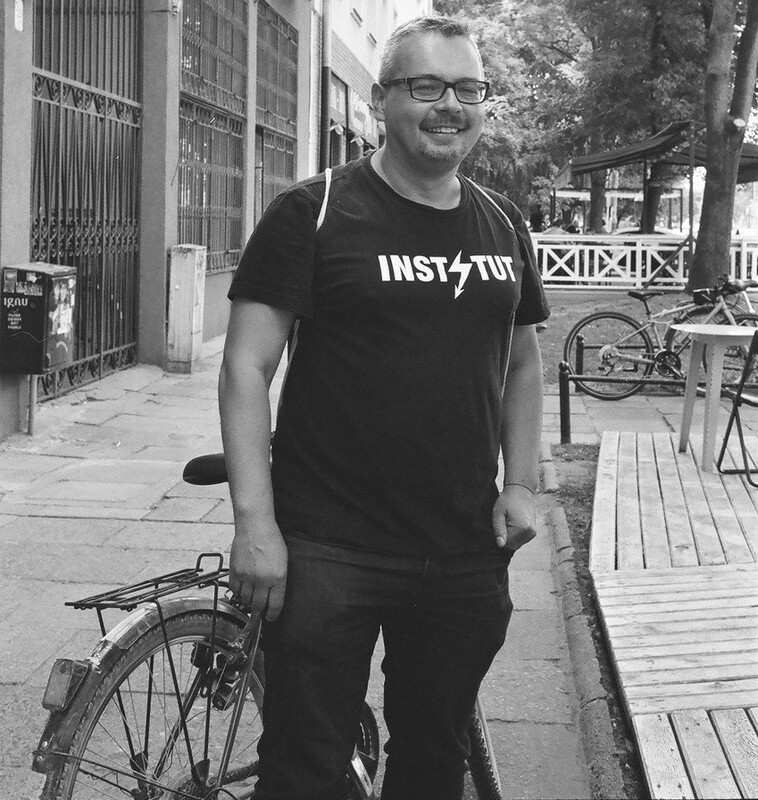 Artur Wojtczak, I am the spokesperson of INSTYTUT FESTIVAL 2019 MUSIC AND ART, responsible also for the PR and foreign marketing of the brand. How did you first become involved in Instytut Festival and music in general? Club culture has been always an integral part of my life, I started listening to he first acid-house records in the late 80’s when I was at primary school and since then I fell in love with the dance music. I have been an active raver in the 90‘s and… keep on clubbing till today. I am also working as freelance journalist for some music magazines in Poland (Electronic Beats, Noizz, Muno) and also cooperate with some from abroad (Mixmag, Only Techno, Techno Station, Faze). I usually write interviews with DJ’s, reviews of parties and records, promote clubs and events in Poland. Instytut-raves has always been a legend in Poland – they started in the early 00’s. The location is absolutely unique – the high voltage hall is a huge building, where Polish scientists have done their research since the 50’s. Iwona Korzybska, Joanna Wielkopolan found this beautiful brutalist building and started throwing there huge parties which were fundamental in the develepment of the techno scene in our country. In 2016, right before the Autumn edition of Instytut, I was interviewing Iwona Korzybska and she told me that her dream would be to do the next step, to extend the big raves into a festival one day. And: „If you can dream it, you can do it“ ! 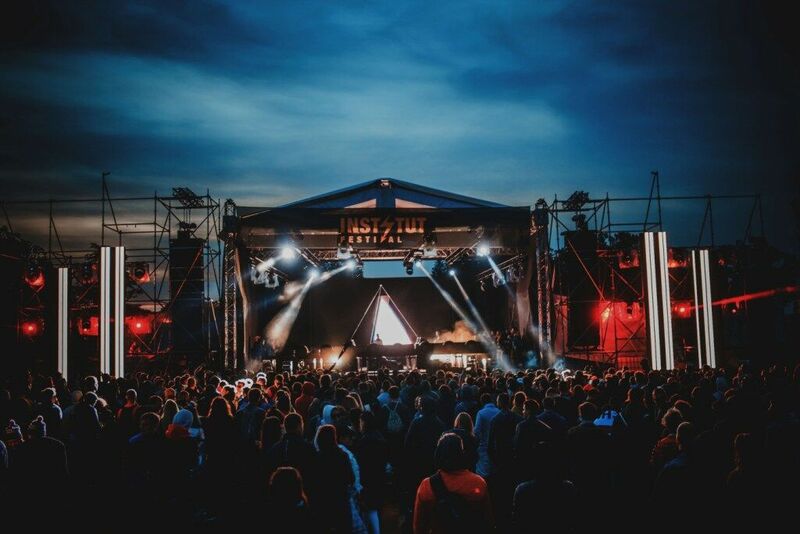 One year later she announced the very successful first edition of Instytut Festival Music & Art with Nina Kraviz, Marcel Dettman, Chris Liebing and Speedy J.! Yes, she is in fact the real queen of the club scene in Poland! (laugh). And shortly after this iconic interview I have published my first feature about Instytut in Mixmag UK. How did the concept for the festival come about? As I explained above: Instytut needed to do the next step seeing „the bigger picture“ of Poland’s rave-market while it is actually the oldest and the most recognizable techno- brand in Poland or even in Eastern Europe. Instytut wanted to create its own festival with an exciting line up, unique location and great party crowd, which stays true to all Instytut’s parties for years ( this event connects the generations of old –school ravers with the young ones who want to feel the spirit of „good old days“) The announcement of it had a huge and totally positive impact on the scene and we received great feedback before and after the festival. This debut immediately put us at the forefront of the festival scene in Poland. Very characteristic for our event was, that we included the elemnt of art into music: the best Polish street-artists, visual artists created their works in the area of the fortress. This year we intend to build the longest street art gallery on the wall of the fortress. Twierdza Modlin (The Citadel of Modlin Fortress), nowadays known as Garnizon Modlin (The Modlin Garrison) is unique on a global scale – the longest building in Europe and the second largest in the world. The organiser team consist of all females, please tell us how and why them organisers are only female? Instutut was set up by two women, Iwona and Joanna, who are big friends since high-school days. The girls do the whole production of the event, prepare the line-up and fix the bookings. And they do it with love, not only excel-sheets (laugh), having a beautiful rave-history behind them. And now they are putting their motherly love into creating their own global techno-family. The girls are also the creators of the “Techno Is A Lady” project: the new special party with Polish-only female DJ’s (DJanes) will take place on 8th of March (International Women’s Day) in an old cinema in the centre of Warsaw. See you there! Let’s dance, promote Polish DJanes and producers ( An On Bast, T A K A, Mia Twin, Carla Roca etc.) and put a political statement into the rave reminding about the female rights in the society. By the way: we just celebrated the 100th anniversary of political rights of Polish women. What is the music scene like at the moment in Poland? It’s booming! We are absolutely delighted seeing the scene growing. Great clubs like Smolna, Jasna 1, Tama, Sfinks 700, Prozak 2.0 or Szpitalna 1 located in Poland prove, that Polish party-goers love raving. These clubs have brilliant bookings every weekend inviting top artists from all around the world: last year we were able to listen to lots of such great DJ’s like Boris Brejcha, Amelie Lens, Fatboy Slim, Honey Dijon, Dax J or Black Coffee. Techno is still the dominatinig genre, but you can also dance here to garage, gabber or drum’n’bass. On the other side we see lots of DJ’s who establish their own labels or release records worldwide: from Germany to UK, Mexico and US. Polish producers like Catz’N Dogz, VTSS, Olivia, An On Bast, DEAS, SEPT, DUSS, Seb Skalski / Deeplomatik or Holiday 80 are very successful performing in the world’s leading clubs and releasing EP’s and LP’s who top the club charts. Warsaw is being touted as ‘the new Berlin’ do you agree? If so, why? Yes, it is! It looks like Warsaw is going to be“ the next big thing“, the new clubbing destination. It makes no sense to be compared to Berlin – the city that we absolutely love and adore by the way – but Warsaw has ist own identity, ist beautiful shape. Warszawa is centrally located, easily accesible (2 airports available plus many bus connections), with good hotels and chic boutique hostels, You can have here a perfect sightseeing ( starting from classicist parks and palaces up to socialistic buildings and beautiful examples of modernism from the 30‘s!). You can have a delicious dinner here – a really wide range of cousines is available! Warsaw is also „vegan friendly” – the city is the best placed in the world after Berlin and NYC when it comes to vegetarian bars and cafes ( according to the report of „Happy Cow”). And the clubbing scene in Warsaw is definitely worth experiencing. What does Instytut Festival have in store for us? The highlight will be the second edition of our festival in June, we plan also new parties of „Techno Is a Lady“-project, Autumn rave in the Energy Institute and the very special, pretty new project that has been started last year: We Plant A Techno Forest“. Being ecological and taking care of our environment, we will plant about 2000 young trees in May. After that we shall rave in a beautiful village and forest area. CJ Reign „Dat Is Houzz” – another great garage producer from Poland with his new EP on Pogo House Records – a leading garage house label based in London, run with passion by Martin Depp. As the 3rd one I would name Helena Hauff’s ‘Qualm” album – one of the bst from 2018. And the last but not least: after listening the demo oft he upcoming Catz’N Dogz album I can tell you it’s gonna be a BIG record, full of future anthems and house classics. Are there any acts that you are really excited to see play at Instytut Festival? Definitely Donato Dozzy! He is a brilliant DJ, who performs really seldom. This year he announced just 4 dates only. We are very thankful that he trusted the unique vibe of Instytut! I also recommend Andy Stott, who will petform live in our fortress. Ando f course Richie Hawtin is is justa kind of member of our Instytut-family. How did you go about choosing artists to attend the festival? We follow the world scene very carefully and know very well who is fresh, exciting at the moment. We choose artists, who fit into our concept of the party, which stands for love, freedom and good vibrations. All the ravers that used to attend the parties of Instytut claim they appreciate the very special atmosphere that they feel in the air. Let me tell you, that electronic music fascinated us because we could always hear there something new and different, which inspired us in many aspects of my life. And our line- up is exactly such a promise. Therefore, we invite those artists who have something to say – irrelevant to their experience, popularity or statistics on social media. And this idea is a leading one, because the lineups we create are our common language, which we communicate with the artists that we invite. We just communicate with music. I hang out in the city (Warsaw) a lot. I chat with friends in lovely cafes, ride my bike to explore the green side of the city, read books ( Zadie Smith is my fav writer!) on the beach at Vistula’s river bank enjoying the sunshine. And come back to the dancefloor of the clubs like Smolna, Luzztro or Jasna 1 every weekend. Dancing is the best possible way to forget everyday-worries and to think positive, enjoy the beautiful world around.